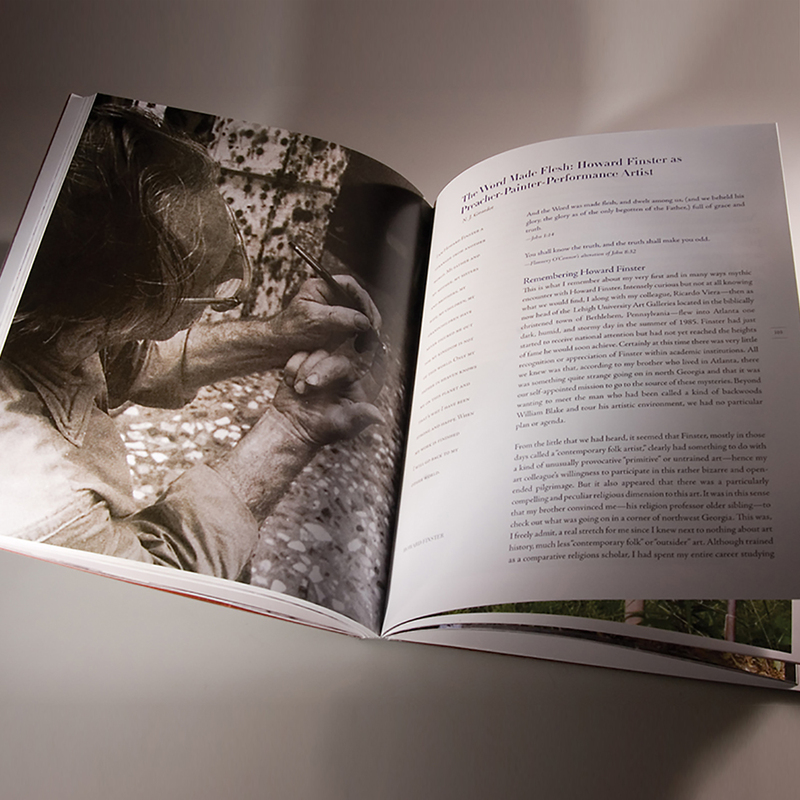 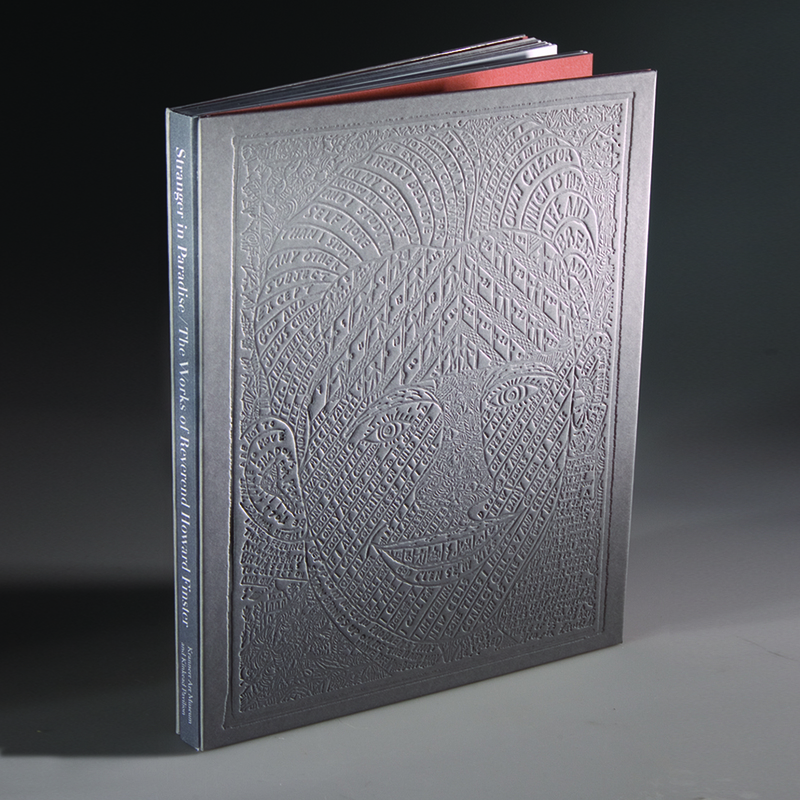 This exhibition catalog was designed with a high relief embossed surface on both the front and back cover to give the book a very rich textural surface and feel. 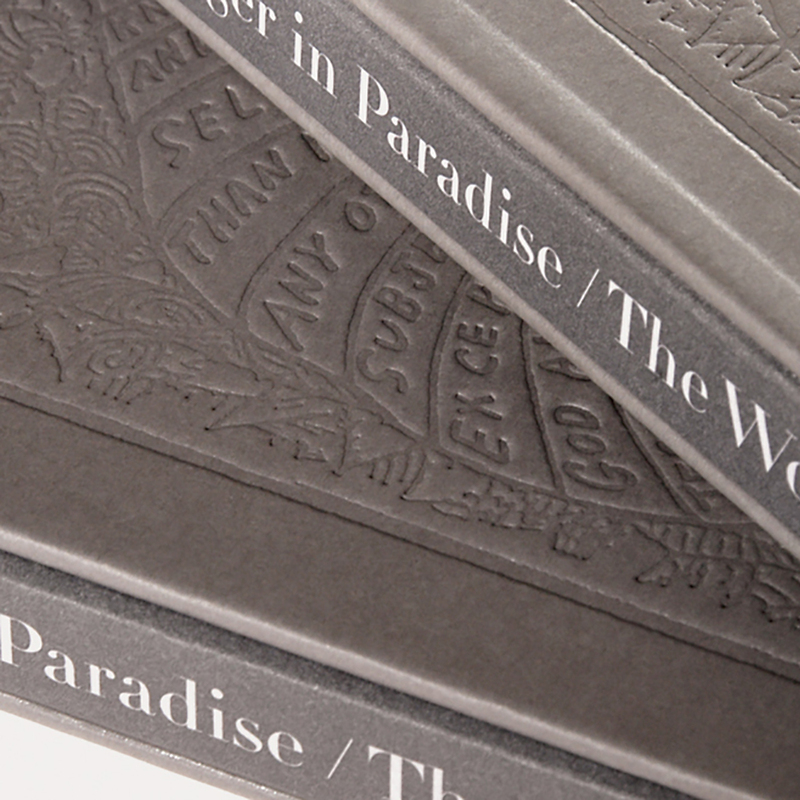 The binding of the book is a unique blend of stitched and perfect bound. 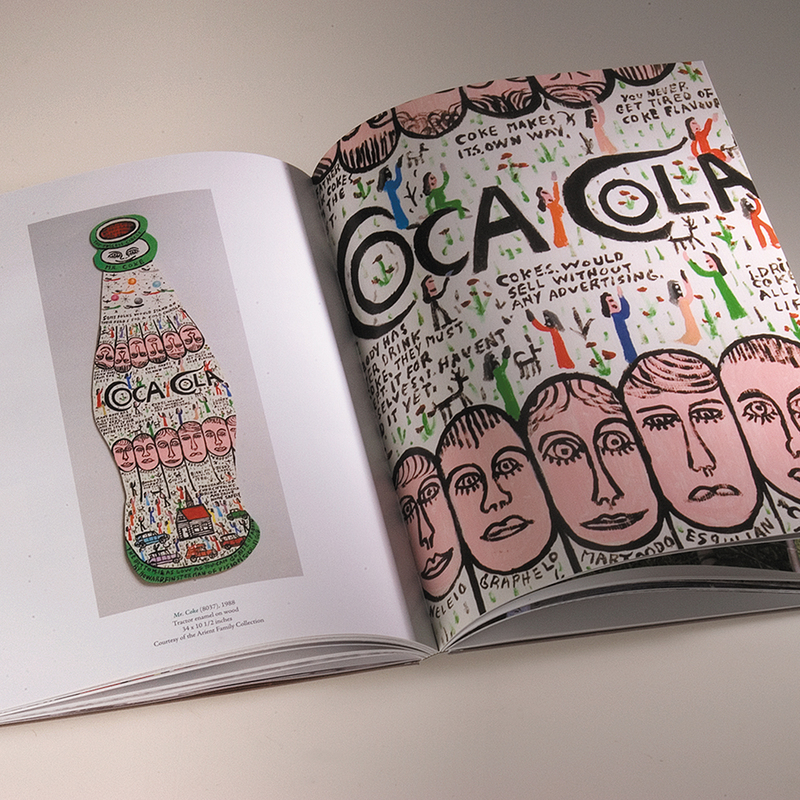 These design qualities are intended to represent both the eccentricity of the artist and an acknowledgement of the contribution to the arts that this unique folk artist has made.